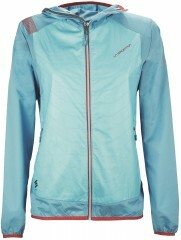 A jacket for a hybrid of tasks, this La Sportiva creation is a combination of insulation and breathability. Perfect for the times you need an additional thermal layer but don’t want to sweat, the Task Hybrid jacket is a well-designed lightweight backup. 40g of Primaloft Silver Active insulation help retain some core body heat while the Spirex construction lets you use your arms and body freely to climb and/or ski mountains. Elastic edge binding and flatlock seam technology just seem to work when you’re getting after it. The fitted hood gives an option for containing heat in the attic and the two front pockets are a nice place to stuff cold hands in a pinch. 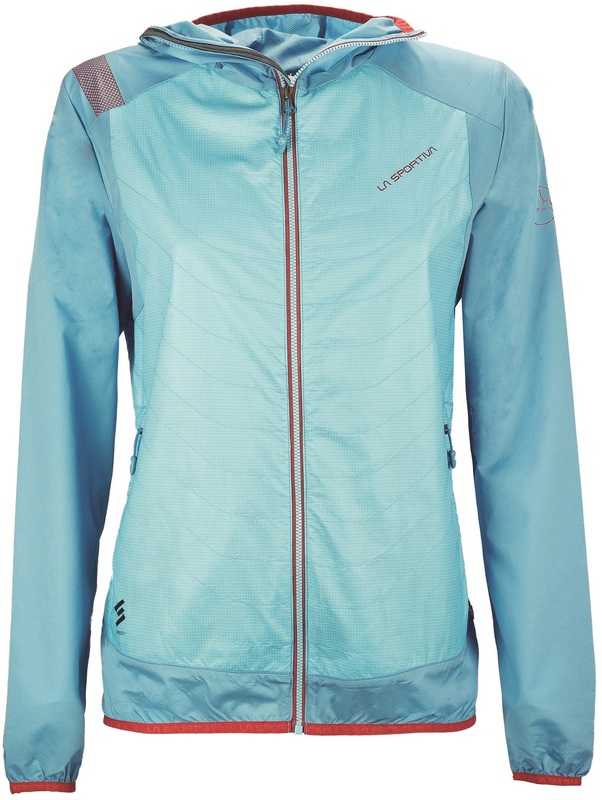 The La Sportiva Task Hybrid Jacket is a highly breathable and functional layering piece. Durable nylon and Ripstop polyester shell is good protection. Two front hand pockets are good storage or hand warmers. Innovative Spirex™ construction encourages movement. Primaloft® SILVER ACTIVE front-fill is breathable warmth. Elastic edges and flatlock seams are a performance build. Full length zip and fitted hood are easy to operate with gloves. BlueSign® approve fabric appeals to your conscience. Full Disclosure: we were lazy and copied this description from the men’s version since it’s the same except for the patterns and colors.